One of these days, do you find yourself glancing worriedly at your own hands, face, shoulder and neck. Unprotected skin, on being excessively exposed to UV rays- whether from a tanning booth, a sunlamp or years of going without sunscreen, protects itself by producing an overabundance of melanin-the pigmented cells in your skin- resulting in uneven patches. Age spots known medically as lentigos and seborrhoeic keratoses are brown patches which commonly appear on the back of the hands, the face and the back. There are certain chemical substances called psoralens, present in foods such as parsley, limes and parsnips that may cause age spots. When you handle these foods and then go out in the sun, your skin may be more sensitive and burn more easily where the psoralens touched it. When perfumes or lotions containing musk or bergamot oil are applied to sun-exposed areas, they can produce age spots. Antibiotics such as tetracycline (Achromycin), some diuretics (water pills) and antipsychotic medicines such as chlorpromazine (Thorazine) will also cause your skin to produce age spots when it is not protected from the sun. Heredity, to some extent is also responsible for excess melanin production in the skin. The most important thing you can do to stop new age spots from forming is to wear sunscreen-all the time. If you have just a few age spots that are not too dark, you can try an over-the-counter remedy. But for a persistent crop of age spots, your dermatologist has several very effective treatments. Prescription bleaching creams containing kojic acid or hydroquinone cause age spots and irregular pigmentation to fade so that they blend with the color of the surrounding skin. Reversa HQ and Neo Strata HQ are examples of over the counter gels containing glycolic acid and bleaching agents which are effective in lightning age spots and other irregular pigmentation in the skin. It is important to protect yourself against the sun with a broad spectrum sunscreen such as Ombrelle 15 otherwise you will defeat the purpose of the bleaching creams. If you develop a burn of any sort, see your doctor immediately. 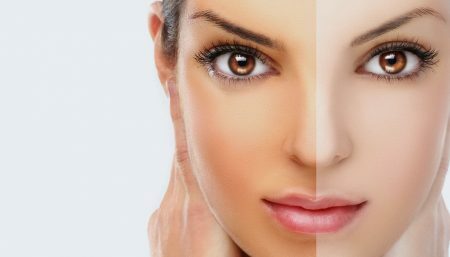 Porcelana and other creams, including Esotérica and Palmer’s Skin Success fade creams, contain hydroquinone, which interferes with your skin’s production of melanin. These products work slowly, however. Prescription-strength hydroquinone preparations might work faster. Tretinoin in preparations such as Retin –A, Stieva –A, Rejuva –A, Retisol-A, Renova and vitamin A acid when applied to the back of the hands daily over a period of months gradually causes age spots to disappear, evens out irregular pigmentation, and reduces fine wrinkles giving the hands a more youthful appearance. 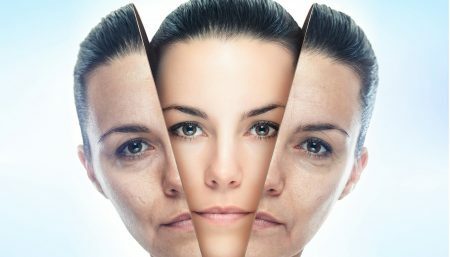 Acid containing solutions are also effective in removing age spots. 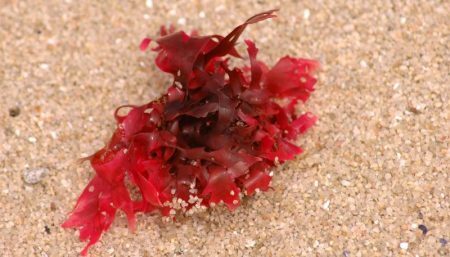 They cause irritation and the spots peel away from the skin. The new underlying skin is pink and fades to a normal hue after a few months. Opaque makeup can be used daily to camouflage age spots. Given the excellent medical options for removing or lightening these discolorations of the skin, makeup becomes a less desirable alternative. 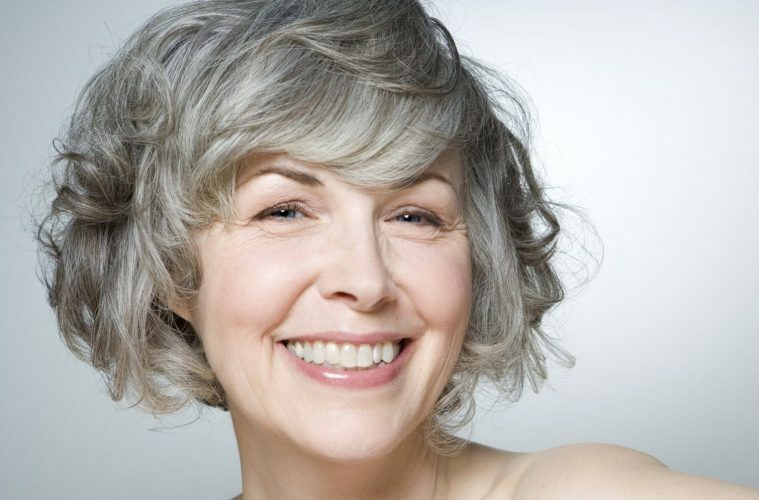 Surgical treatment options are also available to rid the body of age spots. Until recently the treatment of choice for age spots was cryotherapy. With this technique liquid nitrogen (freezing) is sprayed very gently on the spots to induce a localized frostbite. 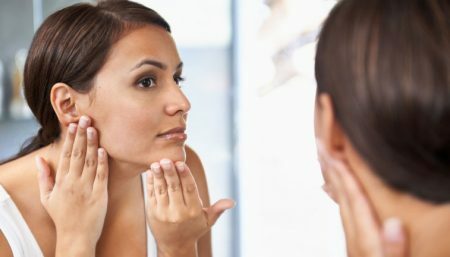 After two or three weeks the treated age spots peels off as the underlying skin pushes to the surface leaving a residual area of pinkness that might last for only a week but could linger on for months. Scarring may occur. With the advent of the pigment removal lasers (Q-switched ruby, Alexandrite and Nd:Yag), cryotherapthy is no longer the treatment of choice because the laser has a lower risk of scarring is less painful and the recovery time is shorter. Due to the cost of laser treatments and because not all physicians have access to a laser nor are they trained in laser surgery many individuals still choose cryotherapy to treat their age spots. The pigments removal laser have also superseded the use of surgical removal or vaporization with the carbon dioxide laser for larger growths provided they are not too thick. If the lesions is suspected to be cancerous then a biopsy is always taken prior to proceeding with laser surgery so it can be analyzed by a pathologist. If it is malignant then surgical removal is used to ensure that the cancer has been completely removed. The carbon dioxide laser in its cutting mode may be used to do the surgical excision. The pigment removal lasers act in a similar fashion to a guided missile The light from the laser has a selective affinity for brown discoloration in the skin. It passes harmlessly through the top layer of skin and when it hits the brown pigment cells energy is released causing the melanosomes in the cell to break into minuscule particles which are removed by the body immune system. Each pulse of laser light feels like the snap of an elastic band on the skin. The age spot turns grey initially them within minutes forms a superficial brown curst. Within 2 weeks the crusts will be sloughed and the skin underneath will be pink. This gradually fades to the color of the surrounding skin over the course of 2 to 3 weeks. It takes less time for age spots to turn over on the face than on the back of the hands. The crust must not be picked or rubbed off otherwise a scar will results. Remember that with all these treatments, it is essential to keep using sunscreen. Otherwise, new age spots are sure to form. Protection from sun damage is the best prevention for age spots. Wear protective clothing and avoid tanning beds. Reapply sunscreen after swimming or excessive sweating. Wash your hands thoroughly after handling foods that contain psoralens and reapply sunscreen before going outdoors again. Apply your perfume or lotion to areas of your skin that will not be exposed to sun.